I often bemoan on BCDC the fact that I repeat my foods so often, how boring they seem when I look at the photos and how I should change that. I could probably save space on my WordPress account by reusing the photos because they look the same. OK, so I like what I like and I like to repeat. I’m bored too sometimes, Kids. These beauties! I’ve said it before, nothing beats the flavor of home cooked beans. They’re so inexpensive, I think this bag cost $1.29 and so easy now that I know how to do them in the crock pot! All I have to do is remember to soak them! I get so many meals out of them, it’s crazy! 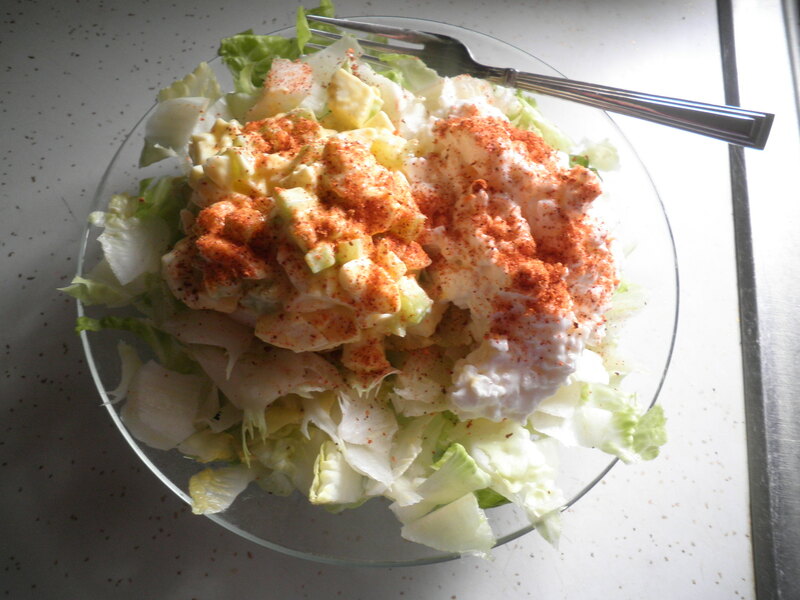 I am just loving having egg salad ready for a quick lunch. Ralph loves it in sandwiches and I pair it with my low-fat cottage cheese on top of chopped Romaine lettuce. I love to liberally sprinkle Mrs. Dash Fiesta Lime seasoning on top. So Tasty! Something New and Something Old. The something new is that I’ve finally figured out how to use Skype! 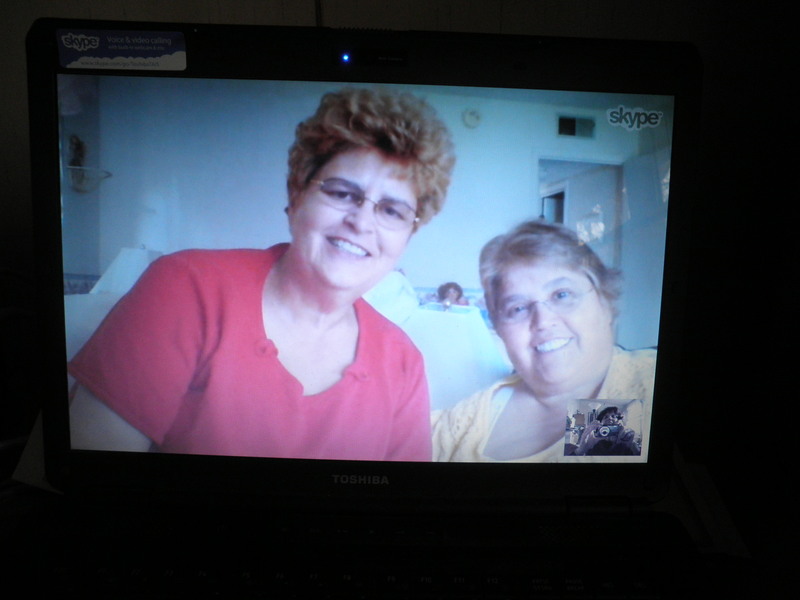 My best friends Gail and Alice have been in Florida since January. We talk all the time and we’ve done a lot of “talking” about setting up Skype but none of us has actually done it. I decided on Tuesday that I’d take the plunge. Alice scared me yesterday morning by suddenly popping up on my screen. After figuring out a few things, like the fact that I can see her a whole lot better if she turns a light on (!!) we ended the session with plans to meet up again in the afternoon. Ta Da!!! There they are. We had a wonderful time, laughing hysterically most of the time and having difficulty getting Gail to behave. She insisted on making faces at me the entire time, much as she does when we’re together in person. That’s what happens when you’ve know someone since you were six weeks old. The story our Moms told us was that Gail was born when I was six weeks old. My Mom took me to visit her Mom. They put us in the playpen together and the rest is history. This was great fun and we’ll probably do it every day. By the time dinner came around, I had no enthusiasm. However, a girl’s got to eat! 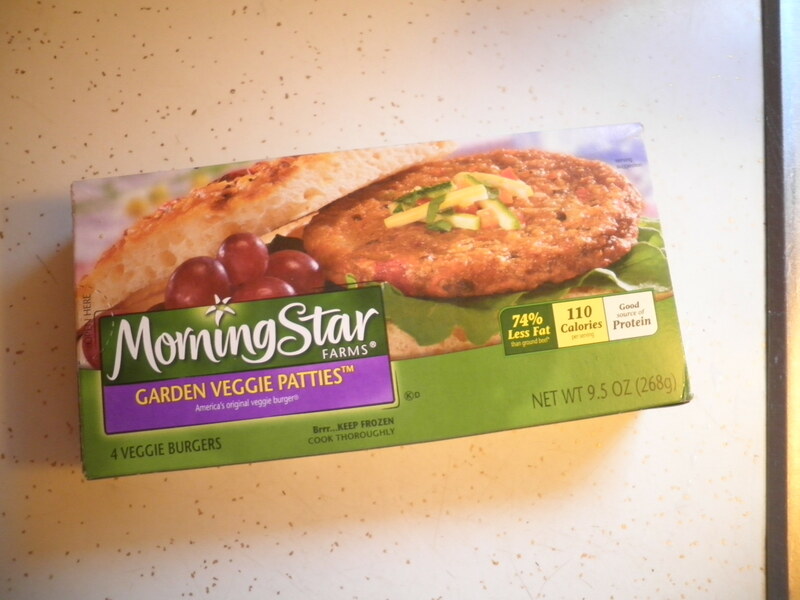 Started with Morningstar Farms Garden Veggie Patties. Cooked them up in the microwave topped with some shredded cheese on a sandwich thin. And some reduced calorie Miracle Whip. Nothing fancy. I was hungry so I had two and I had enough Points left to do it. This was very filling and kept me satisfied for the evening with the exception of a Lime Tootsie Pop. I’ve been in pretty good control all week, which makes me happy. Hoping for a good result at Weight Watchers on Saturday. It’s dreary and overcast and looks like it will be rainy today. I’m not thrilled about that, but what can you do. I’ve also been awake since 3:30am so it will be fun later trying to stay awake. I’m not worried. It’ll all work out. 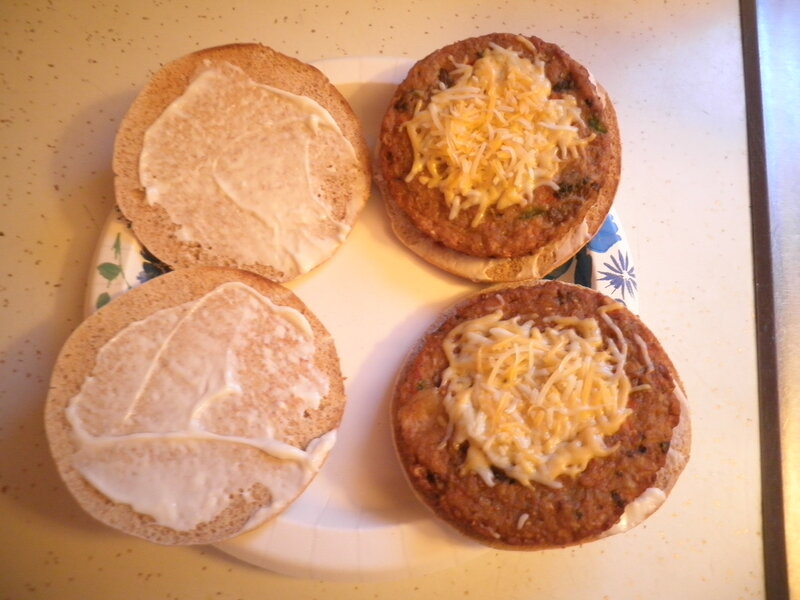 This entry was posted in Uncategorized and tagged salads, veggie burgers, Weight Watchers. Bookmark the permalink. I so agree about the fabulousness of home cooked beans. I can’t believe I haven’t been do them all along! Added bonus: you don’t have to worry about all the sodium in the canned stuff. Laura, you’re so right. I’m not a salt fan and maybe that’s the difference with the fresh made beans. I always rinse the canned ones, but “mine” just taste better! How do you cook them in a crock pot? Diann, I got your comment on Facebook and answered you there. I’ll explain it tomorrow in my post! So easy! Oh my gosh, Ameena. I NEVER comb my hair before I start working on the computer in the morning and I’m Always in my pajamas! It would be ok if you just saw the other person, but I had to see myself too! I love it though and it will be wonderful when we move to NM! I love homemade beans. I guess that is from growing up in New Orleans where red beans were on the menu EVERY Monday 🙂 You got to fix somethingeasy on laundry day. Hi Russel! That’s so funny! Homemade beans are the best! Gotta come up with a good vegetarian red beans and rice. Thanks for stopping by, please visit again! Dice an onion, celery and bell pepper, saute’ it in olive oil and then add the beans and some vegetable stock. If you want a smoky taste, I added a bit of smoked tofu when I was eating vegetarian or you can use Boca smoked sausage. I stopped eating vegetarian as the proteins in the beans and other foods I ate were causing me to develop kidney stones. Thanks, Russel, that sounds tasty and easy. I’ve got some black beans cooked, I might try that. Great to find you! Hi Sarah, thanks for stopping by. Beans are very simple once you get in the routine. If you have a crockpot, you’re halfway there! Please visit again! Sarah, It is easy, especially with a slow cooker. When I cook them on the stovetop, I soak the dry beans over night and rinse them before cooking them. Thanks, Allie. According to Tootsie Pop, Inc. you can only get them in combo bags at Costco. However at Dollar Tree you can sometimes get tropical fruits and lemon lime is included there. When I was there last year, I bought 10 packages of them! I love my lime! At this point, Gail and I are pretty sick of each other…just kidding of course. She’s always been there for me and I hope I’ve done the same for her. She’s a great person, a little silly but that’s part of her charm! i love mornigstar! but my very favorite is the chicken patties. they are really fantastic. i had one for lunch today on a salad! Sara, I love the chicken patties too. Do you mean the breaded ones or the “nekid” ones?! I love the plain ones but I can’t find them anywhere near me in NJ. Makes me very sad. I only use Skype to talk to people in other countries even though I know it would be great to use in other cases! My friends have been gone a Long time, so we decided we needed to do it. I was using up all of my minutes on my cell phone! That’s why I could never be a food blogger, many of my meals are the same. But I obviously like it like that, I never get bored of my favorite foods. 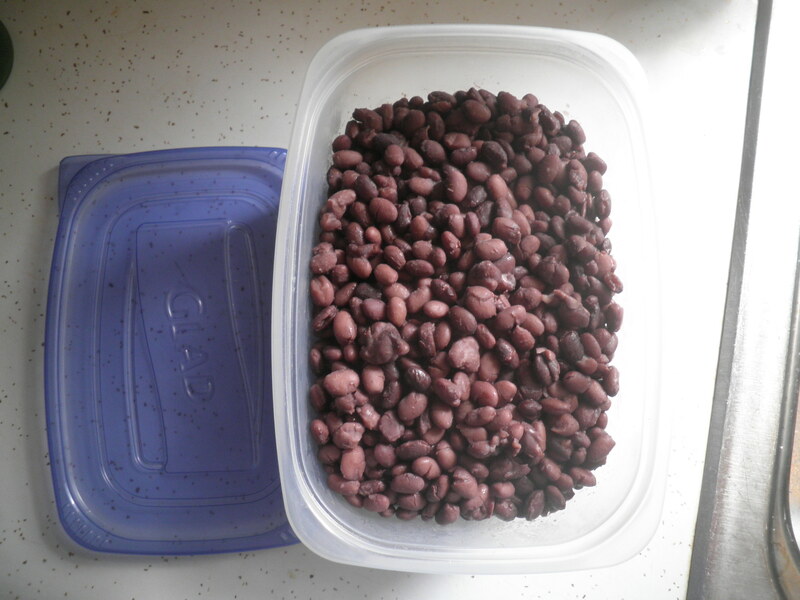 I just cooked black beans in the crock pot 2 nights ago, I bag up some and freeze them because it’s so convenient to have them on hand. Marie, I never realized until recently that I could freeze them until recently. I need to do that with some of the ones I just made! I have been wanting to make homemade beans in the crock pot for a few weeks now and I honestly forget to soak them every single night…blame it on pregnancy brain. How long do you keep them in the crock pot? Do you add water or veggie broth? I have never made beans in the crock pot before. 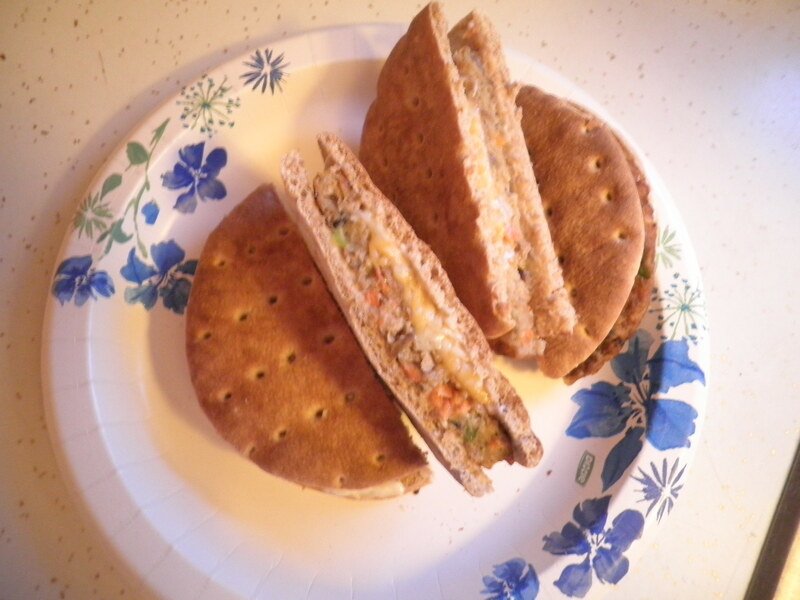 Your egg salad looks so delicious especially on the thin bread. Love it. Thanks, Amy, I’ll explain it in my next post!